Reporters Without Borders have published the 2018 report. 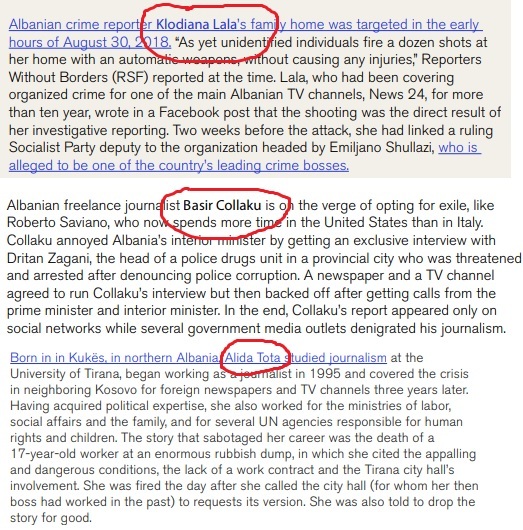 In this report are included also three Albanian journalists, threatened by crime and politics: Klodiana Lala of television News 24, Alida Tota and Basir Collaku. 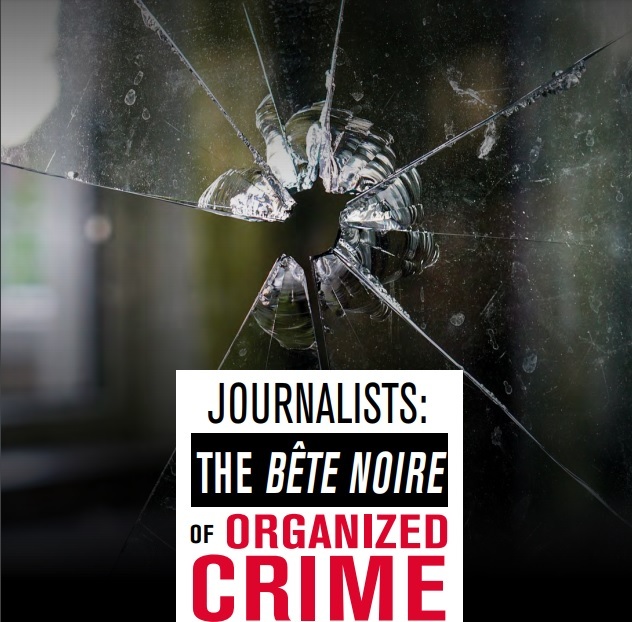 The 2018 report speaks of organized crime that has threatened the journalists and the media. Political interference is also considered a problem. Some of the respondents are currently under police protection because they are threatened by organized crime because of their reporting. According to the report, over 30 journalists across the world have been killed by the criminal organizations since the beginning of 2017. Reporters without borders have been working for months for this report, including interviews with targeted journalists, colleagues and their family members. "Organized crime knows no bounds," the report says. At least 10 journalists were killed this year in Brazil, Colombia and Mexico. That figure may be much higher because criminals and politicians often become allies against journalists and impunity reigns across different countries around the world. In India, Cambodia and some African countries, criminal groups are enriched by breaking all the rules of the environment by stealing natural resources. Journalists who have shed light on the smuggling of minerals, wood and oil are exposed to great danger. Even Europe has not escaped such a risk. At least two journalists have been killed in connection with their work during the last two years: Daphne Galicia was bombed down in Malta in October 2017, while Ján Kuciak was shot dead with his fiance in February 2018 in Veľká Mača, Slovakia. In Italy, 10 journalists are under full police protection day and night, while there are many others in other countries.